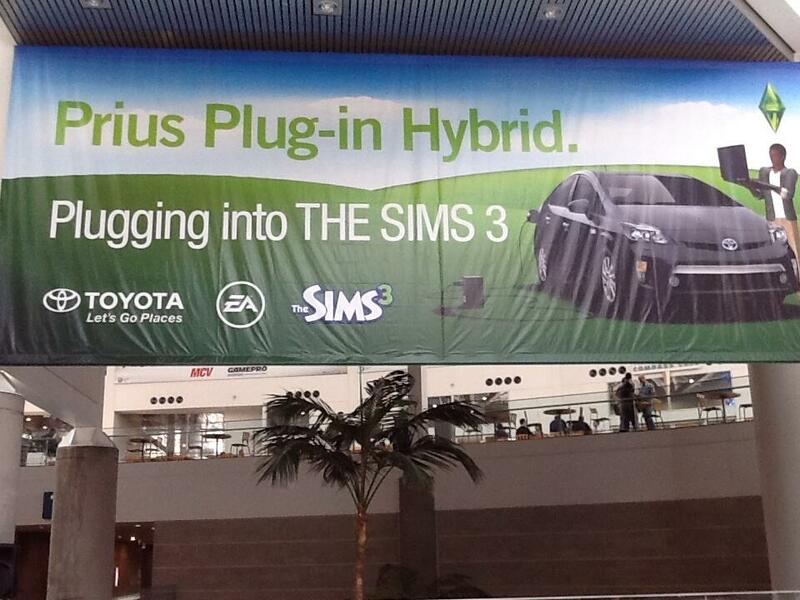 The Toyota Plug-In Prius for The Sims 3 is spotted at E3 2013. For those watching the glitz, glamor, and camera flashes known as E3, Toyota showcased its “Prius C” last year at E3 2012, its hatchback version of the Toyota’s Prius Hybrid. Registering for this year’s E3 2013, we spotted this banner in the South Hall Lobby of the Los Angeles Convention Center. 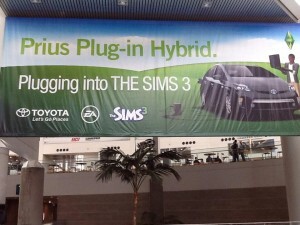 It is very likely that Toyota will likely be showing off its “Prius Plug-In Hybrid”. It’s very likely Simmers will have a new car for their game.